Former presidential candidate and Apple board member Al Gore has insisted that Steve Jobs was against leaving a legacy at the company of trying to second-guess what he would have done. Gore was a friend of Jobs, and he believes his death should not leave behind a culture at Apple of 'what would Steve do?'. "He used to talk initially about how after Walt Disney died, the company always got in trouble about asking 'what would Walt do in this situation.?'" Gore said. "And he made it very clear – 'I don't want that at Apple.' 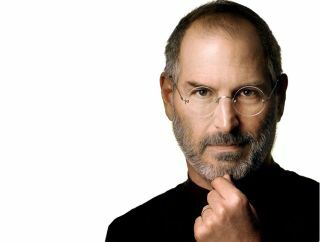 He made it clear to Tim Cook and everyone else 'Don't ask what Steve would have done. Follow your own voice.'" Gore, speaking at the All Things Digital Asia conference also discussed Jobs' impact on the world, and insisted that good times are ahead for his beloved Apple. "Steve was responsible for so many tremendous breakthrough inventions — iPod, iPad, iPhone, Pixar," Gore continued. "But of all of them, I think his greatest work was Apple itself. He created an organization that creates technology that people love. "It's really quite unique and extraordinary. And that's going to continue. There's a lot of stuff in the pipeline and the team he left behind is really firing on all cylinders."